Usually, a global fad goes out of fashion after no more than a year. However, the Rubik’s Cube has defied those odds for decades. Indeed, where are Tamagotchis, loom bands and even Pokémon Go now? Even the Fidget Spinner trend will ultimately dissolve as soon as the next one shows up. Why then is the fad of the Rubik’s Cube so different? Only yesterday, a street iPhoneographer called Shel Sherkin captured video of a man on the subway in New York completing a Rubik’s cube. 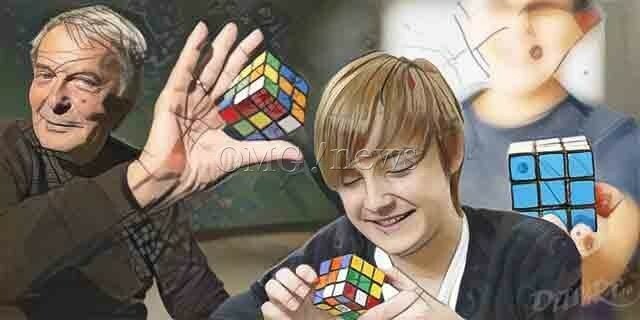 In literally seconds, in one hand, with his eyes closed the man finished the cube flawlessly. The video immediately went viral, due to the endless fascination associated with this 6-sided multi-colored puzzle. What is the eternal fascination with the Rubik’s Cube? With 400 million of these brightly colored cubes sold to date, it is evident that this is one of the most popular puzzles of all time. It sits among the ranks of other popular puzzles and games such as backgammon, and chess. However, what is so different about the Rubik’s cube, is that it is enjoyed as a solitary experience. The Rubik’s cube piques everyone’s curiosity. If you hand one to anyone, they will immediately start turning the cubes over and over to recreate the original order. Quickly, the person then realizes that regaining the original order is no simple feat. In fact, even the creator of the cube, Ernö Rubik, took around a month to return his new invention back into its initial state. He admits that for a time he wondered whether it would even be possible. Fast forward to today, there are now thousands of Speedcubers who compete to break new records in speed to finish the puzzle. 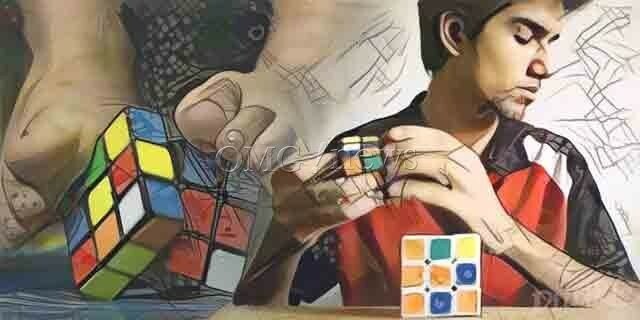 To many, the Rubik’s Cube is an obsession and even a symbol. There are avid collectors; it has appeared in Hollywood films and depicted in fashion. So, with its widespread popularity, it is surprising that considering its humble beginnings, that it even got noticed by the world. Ernö Rubik, the Hungarian creator of the famous puzzle, lived in the Communist block. Despite his ingenuity as an architect, academic, and artist, the government frowned upon individuals having commercial success. 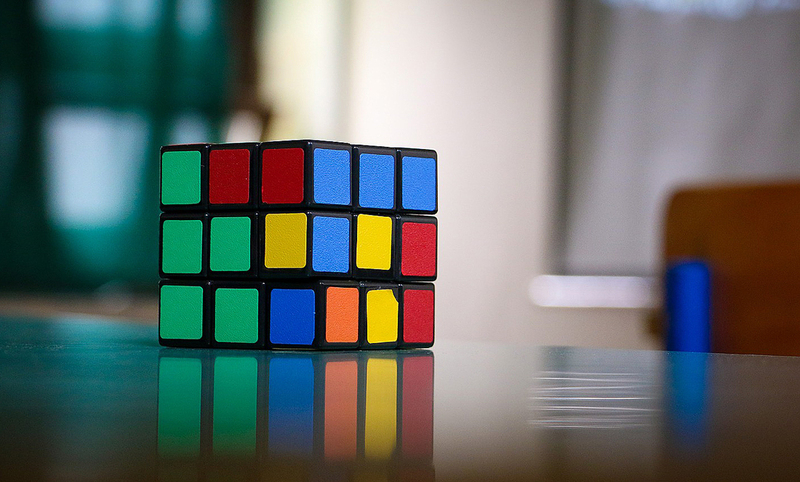 Rubik invented what he would initially call the Magic Cube in 1974. But when he first tried to sell his cube, it weighed twice the amount it does now, and he only had a few buyers. Nevertheless, Rubik knew he was onto something big. He applied for a patent in the UK and believed it would one day bring success. Those that had purchased one of the cubes raved about its intriguing originality. 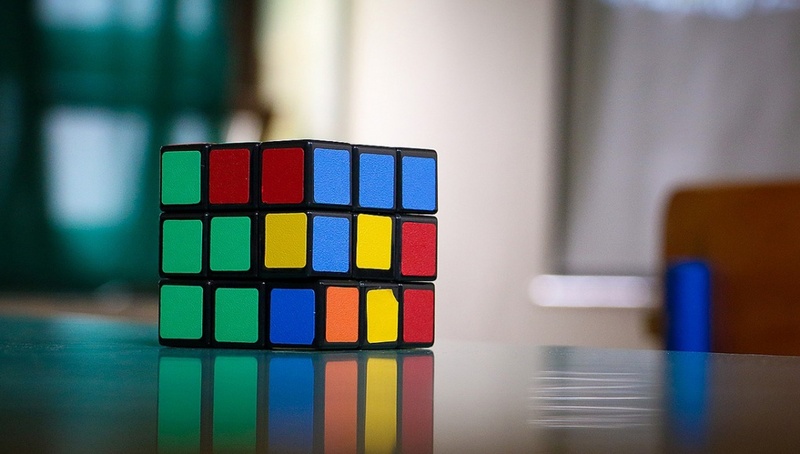 One of his cube’s biggest fans, a Hungarian born German businessman, Tibor Laczi was keen to take Rubik’s puzzle onto the world stage. In 1980, Laczi took the initiative and exhibited the puzzle at the Nuremberg Toy Fair. While he was there, Transylvanian-born inventor and holocaust survivor, Tom Kremer immediately realized the Cube’s potential. Rubik, Laczi, and Kremer changed the Cube’s name to Rubik’s Cube and then organized for the New York company Ideal Toy Corp to receive a shipment of a million. And the rest, as they say, is history! The Rubik’s Cube sold like hot cakes, creating an amazing “rags to riches” tale for Rubik. Indeed, he rose from poverty to became the first self-made millionaire from the Communist block. These days, Rubik runs a studio in the city of Budapest. There, he creates furniture, toys, and puzzles. Additionally, he created a foundation so to assist aspiring Hungarian inventors and designers. And of course, his fans are forever grateful for his genius and creativity, due to the close-knit community of Speedcubers he inadvertently inspired. Australian Feliks Zemdegs took only 4.73 seconds to solve the classic 3x3x3 Rubik’s Cube in 2016. Blindfolded, Polish Marcin Kowalczyk took only 28.87 seconds to solve the classic 3x3x3 Rubik’s Cube in 2013. One-handed, Indian Bhargav Narasimhan solved five 3x3x3 Rubik’s cubes in 1.23.49 minutes, in 2015. Using only his feet, Brazilian Gabriel Pereira Campanha solved the classic 3x3x3 Rubik’s Cube in 28.41 seconds, in 2015. Underwater and holding his breath, Italian David Calvo Vivas solved the classic 3x3x3 Rubik’s Cube in 1.24 minutes, in 2010.